Spring may have been teasing us with the relatively warm weather we've been having this winter, and once it officially sets in, we'll be readier than ever. Break out your light jackets and populate your calendar with a definitive list of this season's must-do activities in Toronto. Winter Stations encourages spectators to get outside during these frosty months and explore the shores of Lake Ontario. Bundle up and peruse this year’s six innovative lifeguard stands, designed to withstand the hardy Toronto winter at Balmy, Kew, and Ashbridge Beaches in Toronto's east end. Hit up the Toronto Sketch Comedy Festival for some of North America's most side-splitting scripted comedy, because what's better than laughing through your frozen tears as the temperature nosedives once again? The trees are budding, the weather is warming, and the sap is flowing -- March is the ultimate maple month with no shortage of maple syrup festivals. Learn about all things maple and sugar through a host of events at Maple Town in the Mountsberg Conservation Area. New in 2017, this festival of light brings "cerebral adventure" to the historic Distillery District, featuring installations by artists and creative teams from India to Italy. Bundle up and head down to one of North America's largest open-air galleries before it ends. ComiCon comes to your backyard in Toronto's Entertainment District. While Drake won't be making an appearance, canoodle with his predecessors at the Toronto ComiCon's Degrassi Junior High reunion, the first in 20 years! Celebrate the patron saint of Ireland and/or your love of drinking holidays at the 16th annual St. Paddy's Day Bash. Get foot-stomping with free-flowing, freshly brewed Pilsner and food provided by the Irish Embassy Pub & Grill. Returning to Toronto for its second year, Winter Brewfest promises to be bigger and better with 150 craft beers from Ontario and Quebec and nibbles from local vendors. Come cashless, armed with your RFID bracelet and Ecocup sampling glass for two nights of extensive beer tasting. Yes, there are professional storytellers -- some of them even have PhDs! The celebration of art and voice brings tellers from around the globe to share their stories with Torontonians. Where a good drink meets spectator sport -- grab a ticket and watch 18 of Toronto's finest bartenders compete for the opportunity to be crowned Toronto's best cocktail slinger of 2017. Sample the creations, snack on food pairings, and vote for the best bartender in 6ix! Don't have the time to make the trip out to Prince Edward County or Niagara Falls? At Riverside Winefest, you'll get to sample the best Ontario wines paired with prix fixe meals from local restaurants without ever leaving the city. The largest new music festival in Canada, Canadian Music Week serves as a gathering place for industry leaders and brings a week-long party to the venues and clubs of Toronto. Get ready to party all night long: Many venues will be open until 4am. The best in culinary cinema brings together chefs, gourmands, and cinephiles at TIFF's Food on Film. Starting April 26, this three-part series aims to provoke discussion about the central role of food in our culture through screenings, contests, and, most importantly, food sampling. Last year's festival saw more than 200 documentaries on offer at the Hot Docs Film Festival, the largest documentary film festival in North America. From Bill Nye the Science Guy to the FIFA World Cup, there's something for everyone at this eclectic documentary bonanza. With both outdoor and indoor installations, CONTACT floods Toronto with the best of Canadian and international photography. Hit up talks, events, and exhibitions to get the ultimate Instagram inspiration. Comic books are so much more than Archie and X-Men, and the Toronto Comic Arts Festival is here to prove it to you 10 times over. Celebrate comic and graphic novel artists and creators from around the world with readings, interviews, panels, and exhibitions. 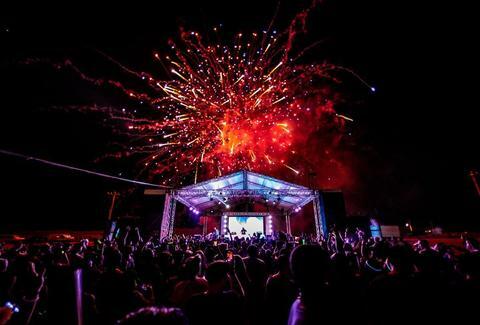 Starting May 22, Hanlan's Point is transformed into a massive electronic dance party each long weekend of the summer. Hop the ferry, pack your picnic basket, and get ready to dance your pants off. Ever wondered if there's actually an alien colony living in City Hall? Here's your chance to find out. One weekend a year, Doors Open Toronto gives you the chance to explore more than 700 unique buildings inside and out. Even regular gluten consumers will enjoy the inventive cuisine featured at Gluten Free Garage, a one-day gluten-free extravaganza that takes place at the historic Artscape Wychwood Barns in Hillcrest Village. Trust us, you'll be shocked at the range of treats that can be concocted without gluten! Sarah Cooper is a Toronto contributor who isn't sure she'd be able to give up gluten… even for a day. Follow out her glutinous adventures on Instagram @agirlcalledcooper.